Sitting here, trying to think of a fabulous post about marketing books. The thing is, the “m” word tends to bring up fabulous pictures in my head of those middle of the night moments when one of my children come to me, saying, “Mommy, my tummy hurts–” then proceeds to vomit all over my side of the bed and floor, at times giving me and my PJ’s a good dousing as well. I, uh, am not the biggest fan of marketing, if you can’t tell. I take that back. I LOVE the idea of marketing. I KNOW it is needed and I LOVE the bi-product of it: my books being known by people and being PURCHASED by people. Maybe it just brings back bad middle school memories of trying to get people to like me when I was a pimple-faced, slightly overweight, 4-eyed and teeth-gapped teenager…. the thought of trying to get people to like my books (thereby, it feels like, ME) still creates that knee-jerk reaction to curl up on my bed with chocolate and a romance novel to take me to another place. But enough about my traumatic teen years. But in putting ourselves out there, it’s also common to get tripped up by some really BAD marketing ideas, in an absence of good ones. I remember when I first started researching publishing back in 2007 after I’d completed my first novel. I was searching online tips for getting an agent/editor to look at your book. One place touted the value of STANDING OUT in the slush pile. Print that proposal on colored paper! Use FUN fonts with lots of bolds and italics! Send goofy gifts that relate to your book in the mail to that editor. (one example was a baby shoe for a book about babies…??) Make them be like, WOW, this person is really SERIOUS about wanting to be published! I laughed, then decided I would probably NEVER be published because no way, no how, would I ever sink that low to use silly gimmicks. Then I found a few agent blogs that suggested that when they got those out-of-the-norm proposals, they were immediately trashed for their stupidity. The same goes with marketing. Creativity is a MUST, but sometimes in the name of creativity, we stumble on ideas that can be counterproductive. Here are just a few things I’ve seen over the past 8-ish years I’ve been on this journey–that have made me NOT want to read a book. 1.) THE WORLD IS ENDING! THIS BOOK IS YOUR ONLY SALVATION! Maybe not those words exactly, but scare tactics or broad, unsubstantiated claims does not a good marketing plan make. “THIS BOOK WILL CHANGE YOUR LIFE FOREVER.” (different than saying something a little more docile like life-changing fiction, etc) “GOD WANTS YOU TO READ THIS BOOK!” (let HIM tell me that, thank you!) Sure, you might get some saps to buy it, but you probably won’t find publishing success with this type of marketing for books. 2.) BUY MY BOOK (five minutes later) BUY MY BOOK (five minutes later) BUY MY BOOK (repeating 100 times per day!) Over posting on social media is a hard one, because there is a fine line. We NEED to be bold and proud of our books and market them on social media, no doubt. However, tact is needed. When my Facebook newsfeed is filled with 6 different posts by the same author marketing the same book all in the same day? It’s a good way to get yourself unfriended or at least blocked. Your Facebook marketing should draw people in, not annoy them. 3.) I MEAN, YOU DID BUY MY BOOK, RIGHT? Guilting people into buying your book is uncool. We all have different budgets and different reading tastes. I’ll readily admit, there are some writing friends I have (who will remain nameless) that I haven’t purchased their books. Why? Partially because I’m a broke mom of 4 kids trying to make a living as a writer. HA HA! But also, I have my writing friends than I have time. The idea of marketing is to ENTICE them to read your book, not twist their arm. 4.) NOTHING. This is the stupidest idea of all. Just not doing anything because you’re afraid of it. It’s the one I’m most guilty of. Oh, I market, but I’ll get an idea and think, ‘Oh, no, that’d totally bomb” and move on. Just like in publishing, sometimes you have to fail a few (or a hundred…) times before you find that golden ticket/agent/editor/marketing scheme. But if you just sit back, cross your fingers and toes, and hope your books sell? Yeah. That is the WORST marketing idea of them all! 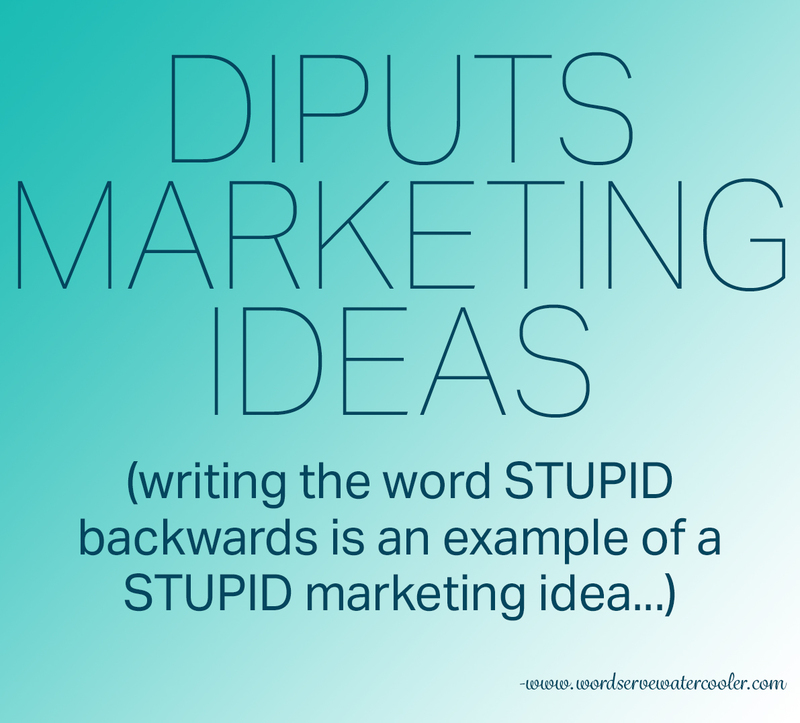 This entry was posted in Encouragement, Fiction, Marketing and Promotion, Non-fiction, Publishing, Social Media, Writer's Life, Writing and tagged Krista Phillips, marketing, Stupid Marketing Ideas by Krista Phillips. Bookmark the permalink. Krista is a follower of Jesus, a wife, a mother, and a contemporary romance author. She recognizes that life can be frustrating and just plain not fun sometimes, but believes that laughter and smiles can make the not-so-fun a little better! She blogs about the amazing things God has been doing and her journey as a busy momma of 4 and caregiver to a daughter with a rare congenital heart defect at http://www.kristaphillips.com. Her novel, Sandwich, With a Side of Romance, released in September 2012.